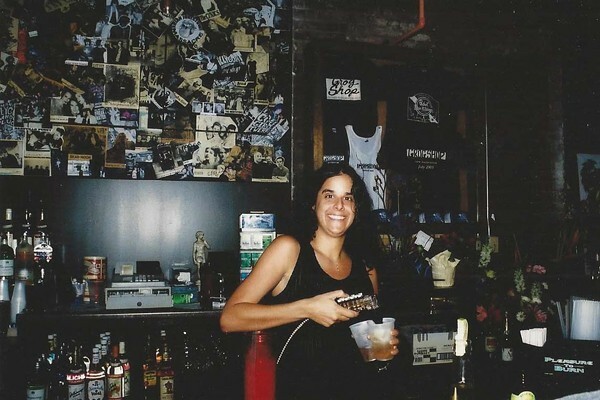 The Grog Shop opened in 1992 when Kathy Blackman and two other business partners took over a Cleveland Heights bar on the corner of Coventry and Mayfield roads. They all lived near the space and thought it would make for a good rock club. They were right. The first show featured local garage-rockers Quasi Modo, and the place was packed. It served as a compliment to the Euclid Tavern, which featured indie and underground concerts too. Within a year, Blackman booked her first national band, the Portland, Oregon-based pop-punk act Crackerbash. In 1994, a then-unknown British group called Oasis played the place. Six bucks got you into that gig. Occasionally, bands like the Deftones and the Brian Jonestown Massacre insisted on playing secret shows at the Grog when they were in town to play bigger concerts at other venues. When that club lost its lease in 2003, Blackman found a place just up the street. The club has resided at that spot on Euclid Heights Blvd. ever since. Starting next week, the club will host a handful of special shows to mark its 25th anniversary. Ticket holders will have access to pre-parties that take place at 6 p.m. at the B-Side Liquor Lounge (underneath the Grog Shop) prior to each of the concerts. The first 100 attendees to each pre-party will receive a “bag o' swag” from sponsors such as Gotta Groove Records, Jakprints, EarthQuaker Devices, Jameson, Absolut, PBR, Melt, Coventry Village, WRUW, WJCU, Market Garden Brewery and Alternative Press. “The music is diverse, and each night represents a different crowd and different era,” Blackman says. We spoke with Blackman to get her take on each of the concerts featuring acts that have regularly played the club over the past 25 years.